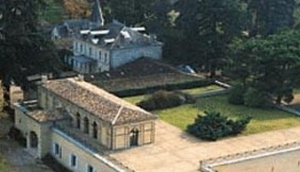 Saint-Emilion, 'the hill with a 1000 châteaux' is listed by UNESCO as 'a cultural landscape'. The wine’s hallmark is the vintners’ art of giving depth and expressiveness to Merlot. Regions close by such as Pomerol carry on this tradition. Appellations (AOC) of Saint-Emilion Area: Canon-Fronsac, Fronsac, Lalande-de-Pomerol, Lussac Saint-Emilion, Pomerol, Puisseguin-Saint–Emilion, Saint-Emilion, Saint-Emilion Grand Cru and Saint-Georges-Saint-Emilion. No surprise to find several Michelin restaurants, fine accommodation, tastings and tours among the Premier Grands Crus Classes vines!